Monthly, The Heirloom reviews books that have to do with Donner Summit's history or the history of the local area. The pages linked here are to the reviews taken from the Heirloom. All of the books have at least some relevance to the Donner Summit area. Do you have a review you'd like to share? the Continent and around the world by bikc. Above: Rowton Service Station at the corner of Soda Springs Rd. and Donner Pass Rd. (Old 40) in Soda Springs. 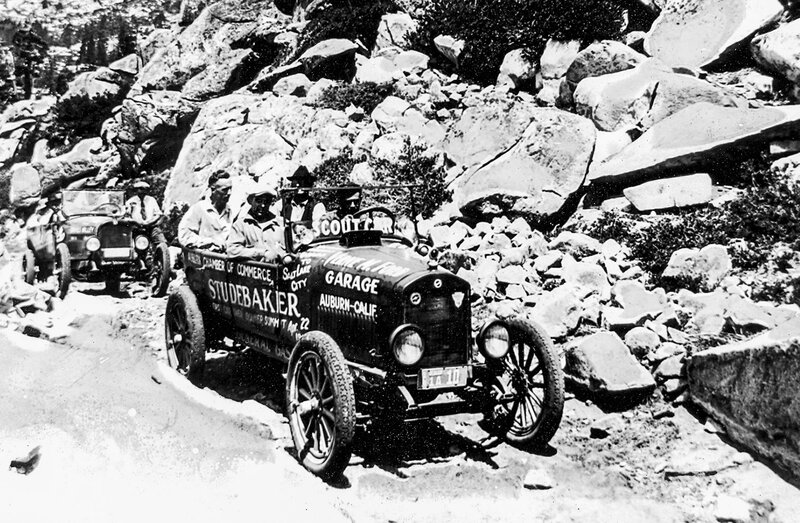 Scout car for 1926 Auburn Chamber of Commercie sponsored trip to Salt Lake City - over Donner Summit.